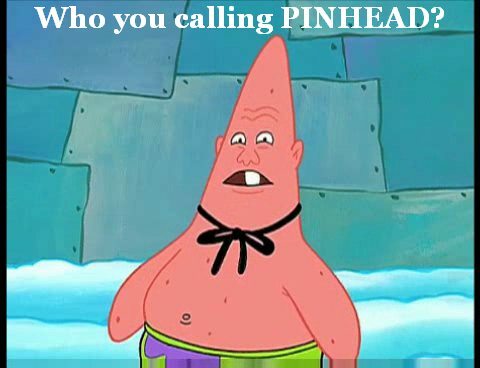 Pinhead. I wanna be Dirty Dan. - What makes wewe think wewe can be Dirty Dan? - Patrick: I'm dirty . LOL. Wallpaper and background images in the SpongeBob SquarePants club tagged: spongebob patrick squarepants star pihead dirty dan.